New Nobles SpeedGleam Battery Rider Burnisher 24"
Brand New Nobles SpeedGleam Battery Rider Burnisher 24"
Engineered for Power and Performance: Accommodates small and large areas quickly and easily with over 20% more horsepower than the leading competitor. 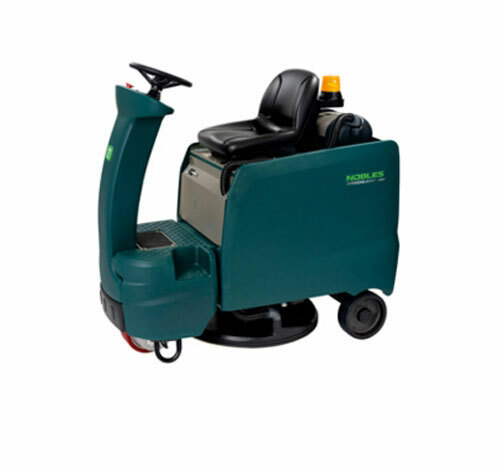 Improve Operator Comfort and Productivity: Ergonomically designed to make burnishing comfortable and can cover large areas quickly. Reduce operator training with intuitive control panel and supervisor lock-out function. 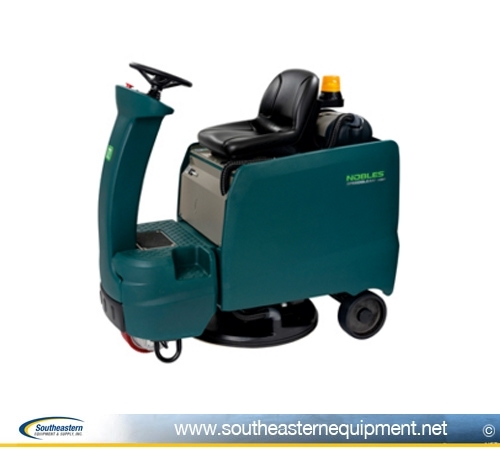 Service your machine easily with automated head-lift and easy battery access. Burnish with 3 speeds and 3 down pressure settings. Cover large areas quickly while still fitting in tight areas like doorways and elevators with compact rider design. Increase Indoor Environmental Quality (IEQ) with optional active, 4-stage HEPA filtration dust control system. Make operator comfort a priority with low 69 dBA sound level.